Elsewhere, its a little different. Other countries have a jet-fueled rocket of an economy. This, of course, has its downside, but its fun to watch, especially from the relative safety of our economic version of the U.S.S. Monitor. Using figures compiled by our friends at RTTNews, we can look at the top performers in terms of GDP growth in recent months. Ireland has yet to report figures for its first quarter. The country closed out last year with a 9.2% annual growth rate. This would rank highest in the world, though it is hard to imagine that the Emerald Isle would be able to keep up that pace. 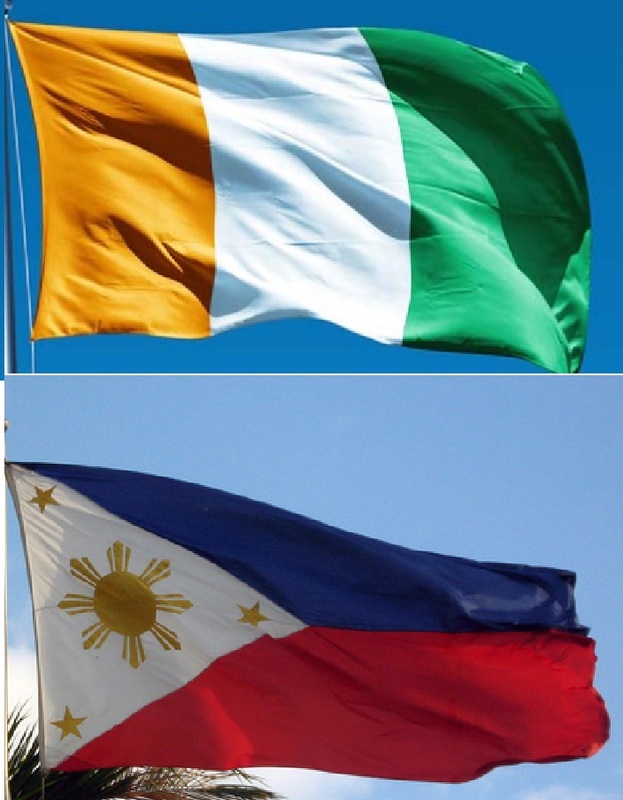 Even if Ireland continues its 2015 tear into 2016, the impressiveness of the feat will be tempered by the country’s size. Ireland is a small country – between about 5 million and 6.5 million, depending on the stats you use. That’s about the combined population of Houston, Phoenix and San Antonio. There’s probably neighborhoods in China with more people. 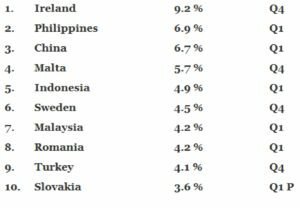 Of the countries who have updated stats for the first quarter of 2016, the Philippines is in the pole position in terms of econ growth – not bad for a country with a population of more than 100 million. The country showed a growth rate of 6.9% in the first quarter, just ahead of China, with 6.7%. Of course, China is a perennial GDP growth monster. The country’s recent stats – even with 6.7% growth in a country with over a billion people – has raised concerns that the days of massive growth may be dwindling. Proof, I guess, that everything is relative. 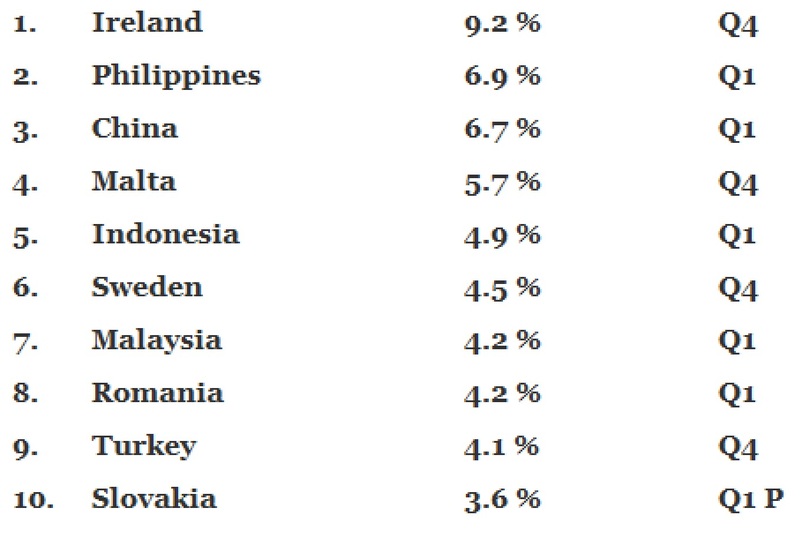 Speaking of which, by comparison, the U.S. ranks 25th on RTT’s list, with a growth rate of 2.0%. Slow and steady.